My baby turned six months old two weeks ago and this meant changes in her diet. Until this point, she was exclusively breastfed except two times when she was given formula soon after she was born. 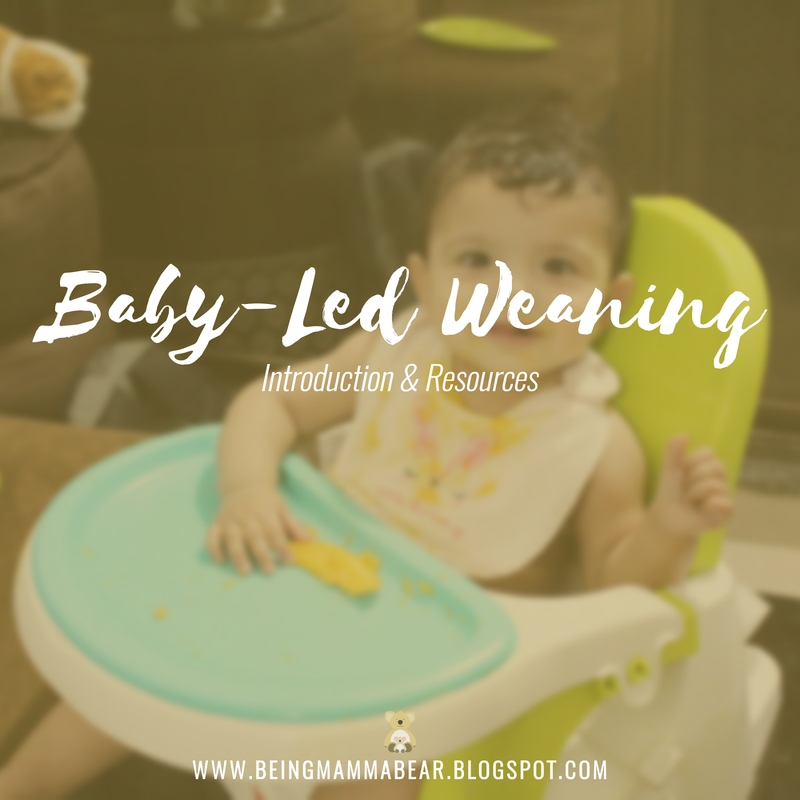 I had heard about Baby-Led Weaning when I wasn’t even pregnant because a friend was using this method. It sounded interesting enough and I wanted to give it a try too. So when she was nearing six months, I started actively reading up on weaning methods and how to introduce solid food to an infant. And out of everything I read, I found Baby-Led Weaning (BLW) to be the most interesting, for various reasons. Six days after her half birthday, I started giving her food other than breastmilk, and like I have been documenting everything else, I wanted to keep a record of this process as well. And as many of you asked me about what I was doing and what you should do, I thought it would be better if I document things as they happened. So before I share what I personally did, here’s a bit about BLW, if this is the first time you have come across this term. Baby-Led Weaning (BLW) is a method of introduction of solid foods to your baby. This method focuses on teaching children to feed themselves, and that means no pureed food and definitely no spoon-feeding. The term ‘weaning’ here means ‘getting accustomed to’ and should not be understood as replacing breast milk (or formula) with solid food. As a part of this process, baby eats with the family; in fact, baby eats what the family eats (with adjustments to the food for sugar, salt, and spices, of course) and baby learns to enjoy meal times. This way, the baby looks forward to meal times and the parents don’t have to worry about having to force food on the baby. The term ‘led’ in BLW means that we allow the baby to lead us. That is, we let the baby show signs of being interested in food, in wanting to eat. Babies also let us know (through actions, of course) whether they like what they’re eating, if they want more, or if they’ve had enough. A key principle of BLW is to not force your baby to eat a certain food item or to eat a certain quantity. Interstingly, until babies are a year old, they get most of their nutrition from breast milk or formula. So instead of feeding babies despite their interest levels, we should use this time to introduce babies to different kinds of food and allow them to explore their senses of touch (textures of food) and taste, and let them eat how much ever they want to, and make a mess. And although it is very time consuming at first and requires a lot of patience and understanding, I am willing to give it a try because if I can have a one year old who eats on her own, then that’s save me loads of time and effort. In the next post, I will talk in detail about what exactly I fed her each day, what her response was, how she improved, and also what I could have done differently or better. But before that, here are a few basic things you need to know about following Baby-Led Weaning (BLW). Make sure baby is well rested and has had breast milk or formula around 15-20 minutes before the meal. This will ensure that the baby is not very hungry and thus baby will be more inclined to explore the food and taste it. You need to do this only in the first few months as the baby is still getting accustomed to new food. As time passes and baby gets closer to the 1 year mark, baby’s dependence on solid food will increase. Also, by then s/he would have learned to eat food on her/his own. Always ensure baby’s back is erect and not reclined. This will prevent choking. Use a booster seat or a high chair. Don’t feed the baby in a rocker or a car seat. Wash baby’s hands as baby will handle the food himself/herself. Wash your hands with soap and water before you prepare baby’s food as well as before meal time. Put on a bib (optional, as long as you’re okay with the clothes getting dirty), keep a fresh napkin, and a beaker/sipper with water handy. Ensure that the food isn’t too hot. Make sure the baby’s strapped in the chair securely. Serve food 🙂 More on preparation of food in later posts. Do not leave baby unsupervised even for a second. Watch the baby carefully. Know the difference between gagging and choking. While the former is normal and expected, the latter may require you to intervene and even perform CPR. Make sure you know how to. Guide the baby and help them bring the food to their mouth, but do no feed them. At the end of the meal (baby will let you know when s/he is done) offer a sip of water. It is said to wait for three days before introducting a new item. This helps to identify which item caused an allergic reaction in case there is one. I gave her something new everyday and this was a judgement call I made because no one in either my family or my husband’s, has a history of allergies. If someone in your family or your partner’s has a history of food allergies, you may want to follow this rule. If not, follow this rule when you’re feeding your baby things that people are commonly allergic to, like peanuts, shell fish, etc. As Indians, I don’t think we have many food related allergies, but you decide whether you want to follow this rule or not based on your judgement. At baby’s six month vaccinations the doctor talked to us about introducing solid foods. What he suggested was offering lentil soup, kanji (rice starch) and other pureed items – Traditional Weaning. While that advice is sound and healthy, these items require you to feed the baby with a spoon whereas in BLW the baby learns to feed himself/herself. So once again, it should be your decision whether to follow what the doctor said or follow your own path. When I spoke to the paediatrician about BLW, he had no idea what that was. In such a scenario, his opinion on whether BLW is a good decision or not has no validity. So I decided to go ahead with it anyway. Before you decide to follow BLW, here are a few resources for you to do your research and make your own decision about whether this is something you’d like to try. An article about BLW on Baby Center. Facebook group – Baby Led Weaning India. Please read the group rules in description. To join, you have to send the admins an e-mail. If you want to try Traditional Weaning, please join Traditional Weaning India. Read instructions in group description before joining. I’ll be back soon with how week 1 was. Also, I have interesting insights, tips and meal ideas from more exeperienced mommies who have tried and succeeded in following BLW. Stay tuned.